Back by popular demand, the TCR Group Training program is back for your spring race schedule! We will be offering group training programs for marathon, half marathon and 5K distances with our partner and goal race being the 2019 Salisbury Marathon on April 6. 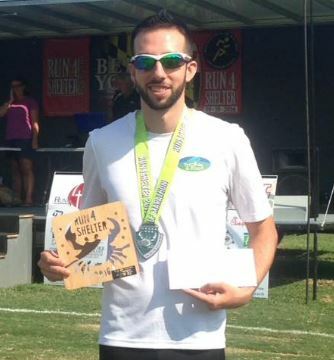 We are excited to have Ben Pittsley, from Cambridge, MD, join us as our lead run training coach. Ben has a long running resume, with some of his most notable achievements including 1st overall finisher at the 2014 & 2015 Run 4 Shelter Half Marathon (1:20:28 & 1:17:59), 1st overall finisher at the 2013 Three Bridges Half Marathon (1:22:54), 3rd overall finisher at the 2016 St. Michaels Half Marathon (1:19:45), 4th overall at the 2016 Tim Kennard 10-Mile River Run (58:05 – 5:48/mile pace), and 5th overall at the 2015 Across the Bay 10K (34:18 with a field of 21K+ participants). Ben also qualified for and ran the 2014 Boston Marathon (3:17:23). His qualifying time was at the 2013 Cape Cod Marathon where he ran a 2:59:40. Ben most recently held the position of Assistant Track & Field Coach at Easton High School from 2016-2017. He left his position at Easton High School when he accepted a new position at the Maryland Comptroller’s office in Annapolis last year. Ben is an active member of Cambridge Multisport, and has competed in several local triathlon events as well as IRONMAN 70.3 Eagleman and IRONMAN Maryland. Most recently, Ben has completed the RRCA Coaching Certification program and is now a certified coach. Our training program is designed to help you cross your first finish line, train for another or to claim that PR. All paces are welcome. Please note that you should be comfortable running (or run/walk) 3-4 miles before considering the program. The spring training programs will begin on Sunday January 6, 2019. We are working on dates for interest meetings which will take place in November and December at the shop. Once those dates have been set, we will update the information on this page as well as social media sites. This will be a 12-week program during which you will receive personalized coaching, support and encouragement, in-store discounts and a team race singlet. We will have an initial interest meeting in December here at the shop. Anyone may attend the meeting, as there is no requirement to sign up at that time. We will discuss the program details and goals. It will be an opportunity to meet your coach as well as store staff who will help guide and support you through your journey to 26.2 miles.